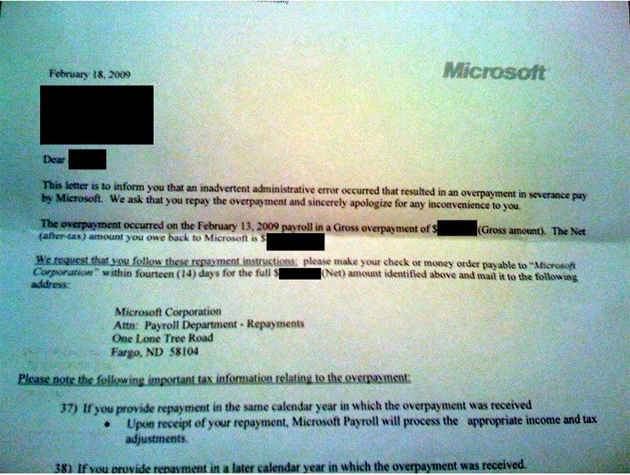 While the payroll error must be irritating in and of itself to these laid off workers (severance is a sensitive subject), it appears that Microsoft HR isn’t even bothering to explain how it happened (employees are instructed to call the office, which is closed for the weekend, if they want to know the details). Given that it was Microsoft HR that screwed this up in the first place, you’d think they’d at least include the calculations they made and point out where the error took place. Update: CNET reports that Microsoft has decided to allow any workers who were overcompensated to keep the money. 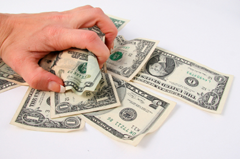 The story also notes that around 25 workers were overpaid, and around 20 underpaid. See full coverage here.